It was the wrong day to wear a dress. 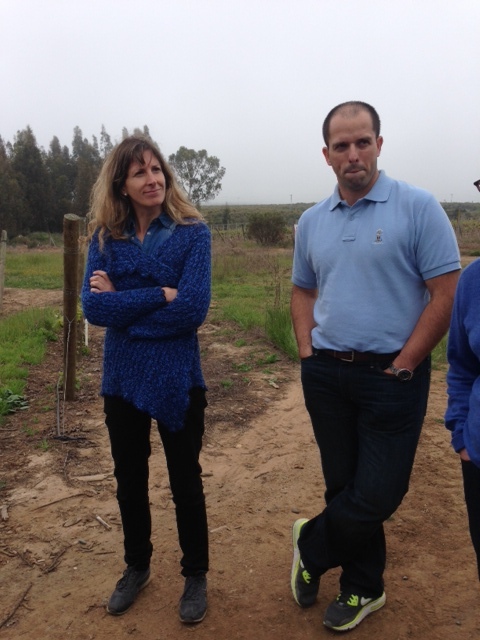 We got to the coastal Leyda Vineyards in San Antonio, Chile and the morning fog had become the afternoon fog so it was freezing. Usually fog dissipates by noon but it hadn’t. We started to chat about the Pinot, Chardonnay and Sauvignon Blanc they specialize in. Those grapes all love the fog and cool climates. Grapefriend does not. 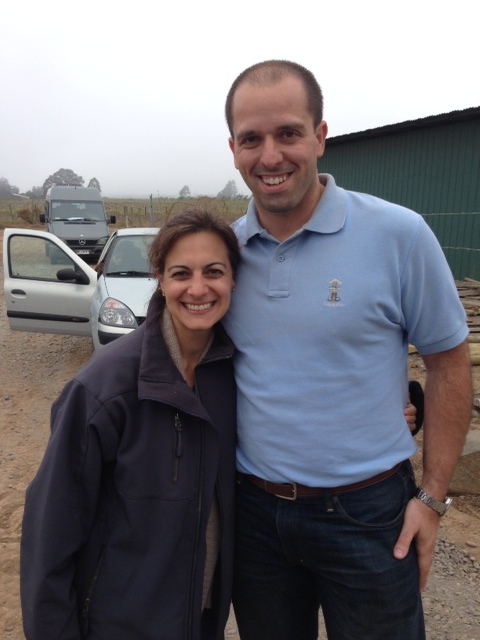 Leandro, the export manager, astutely observed this and handed over his hardy jacket to me. I politely declined at first even though in my mind I was like “OH GOD I’ve never seen anything so amazing in my life”, but luckily Leandro insisted. 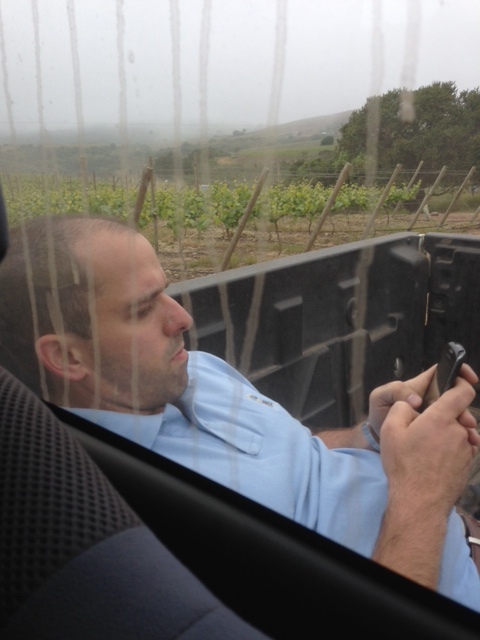 We jumped in pickup trucks to check out the higher vineyards which overlooked the Maipo River. Sick view so everyone took pictures and someone goes, “Oh, you’re the girl who made Leandro a gentleman.” I mean, I do what I can around the world. 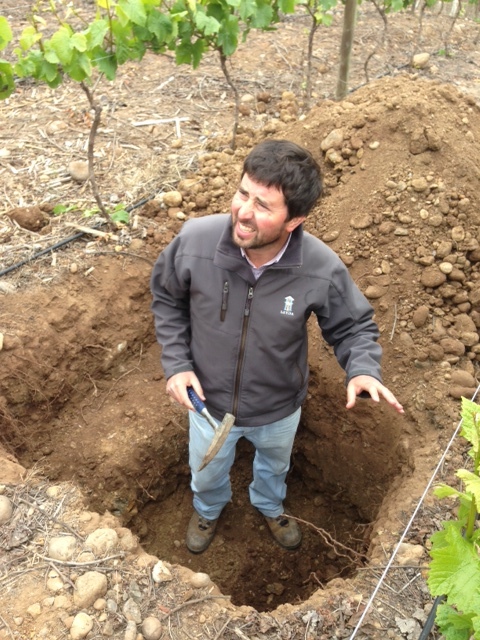 Then Tomas the agriculture manager jumped into one of the 500 holes they’ve dug to study the soil all over the vineyards. Again, thank god I had a warm jacket because it was actually really cool to see the layers of loam and clay and granite under the vines. And if I hadn’t had a jacket I would’ve probably frozen to death in an awkward position somewhere along the vineyard road, so again I was loving Leandro. Leandro lying in the back because there wasn’t any room for him inside, and still sans jacket! So at this point we were practically engaged. We took photos (note: still have not handed over jacket) and it probably would’ve been our engagement announcement photo but he had to do a thing like be married so I had to call the whole thing off. 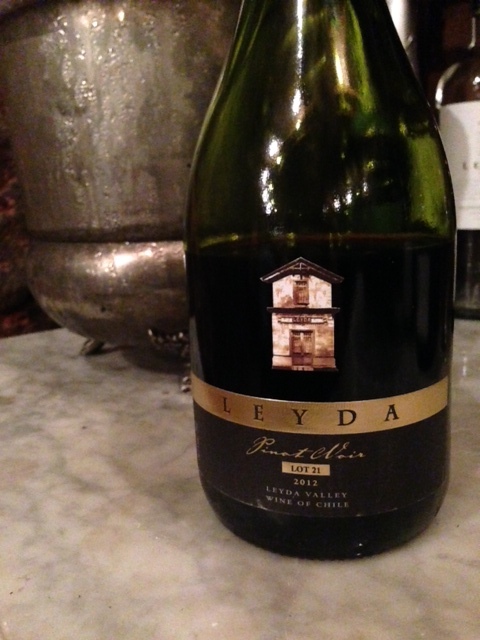 We still all celebrated later at dinner with all the good Leyda wine. Absolutely LOVED this single-vineyard Sauvignon Blanc. Really gorgeous and subtle white flowers, mineral, and a hint of tarragon. Just fantastic ($17). Also loved this Lot 21 Pinot Noir. 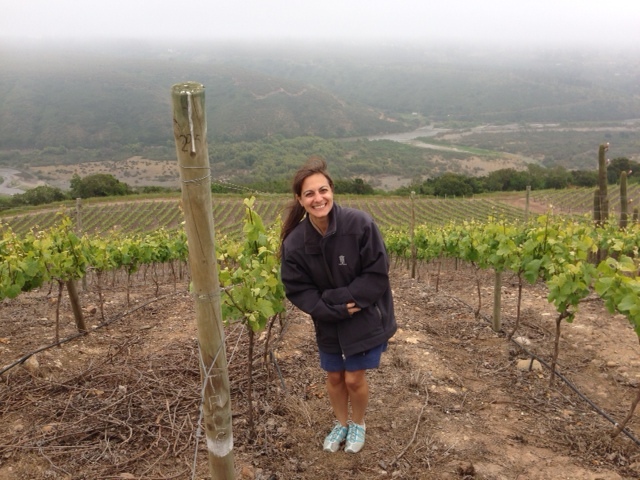 I really hadn´t had much Pinot Noir from Chile til I got here, but it´s pretty interesting. Much more herbal and savory than California ones, not as earthy as Burgundy or even Oregon. But this one had great red cherry and violet. It´s $40 or, as they like to say, $75 cheaper than a French one. We also got to try some of their sparkling Blanc de Blancs – its not for sale in the US ´so I won´t torture you with shots but it was great and slatey and went fantastically with our smorgasbord of seafood. 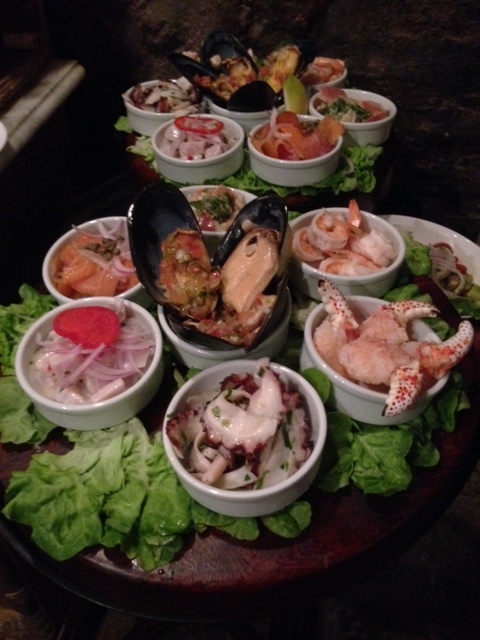 Loving the wine, the food, and the chivalry in Chile! 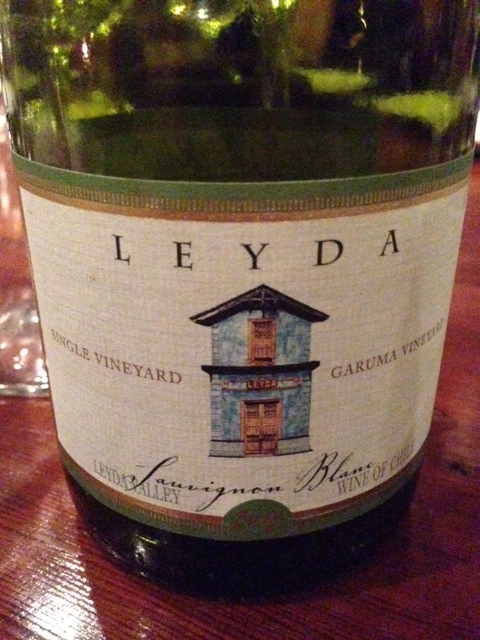 Tags: blanc de blanc, chardonnay, chile, leyda, pinot noir, sauvignon blanc, sparkling, wine. Bookmark the permalink. I am jealous! I might have to book a wine tasting holiday in Chile. I buy a lot of Chilean Sauvignon Blank over here for just under £5! Awesome post! This made me want to plan a trip to Chile…And I’ll be sure to pack a jacket! That was the only vineyard that was cold – it was pretty warm at the rest of them!